The Stafford Vessel Faucet in a weathered Copper finish is sure to tingle your design senses with its stellar precision. Each and every faucet is crafted with durability and style in mind. 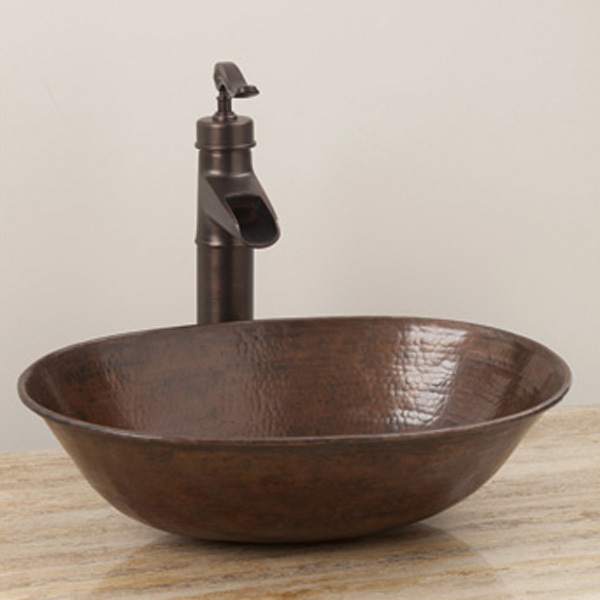 The perfect height for vessel sinks, at 14" tall this unique faucet is both rustic and elegant.